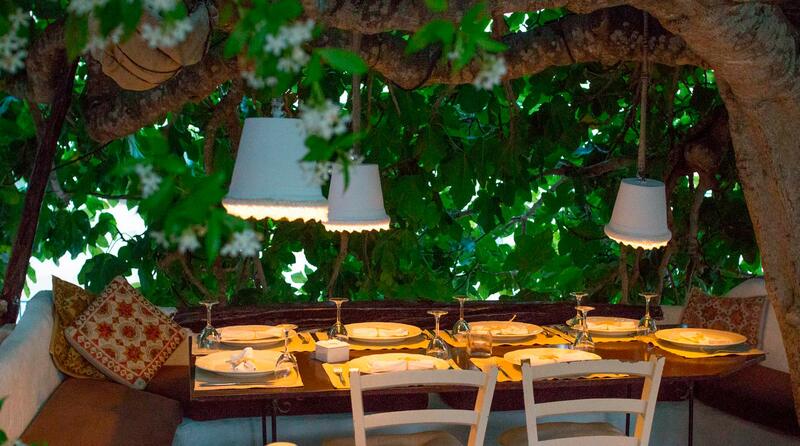 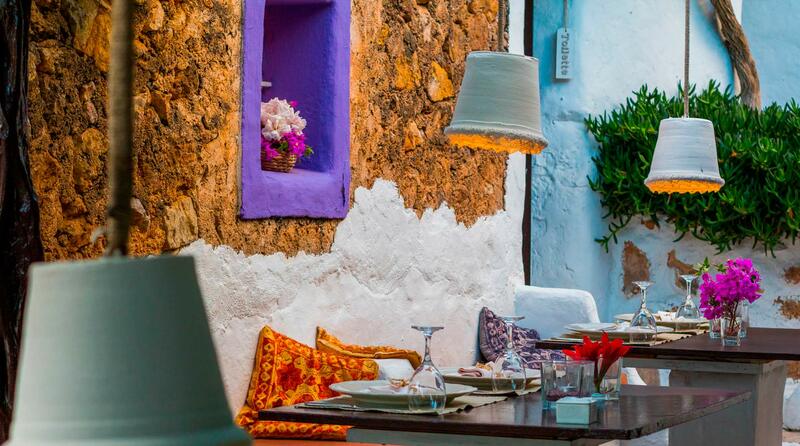 Enjoy lovely evenings with the cool Ibizan breeze on the splendid terrace where dim light, traditional architecture, romantic bougainvillea and a hundred-year-old fig tree and make this place a perfect oasis to enjoy their great Mediterranean cuisine. 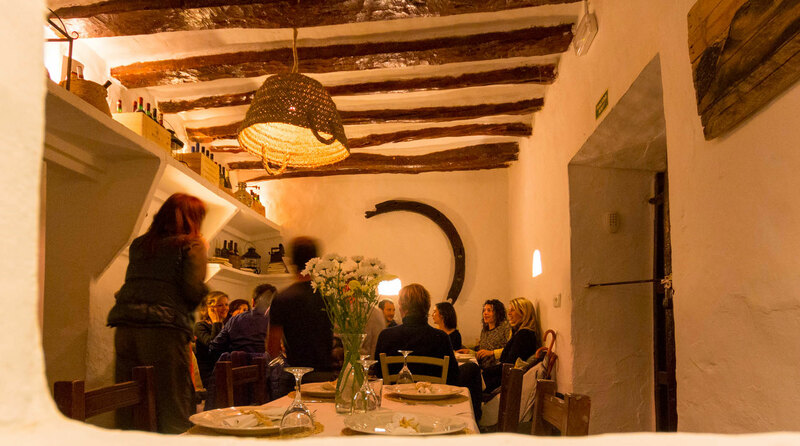 In addition, many nights are accompanied by sensational live music performances under the moon, perfect to go out for dinner and drinks with your ‘sweetheart’ or with your friends in this cozy corner of the island. 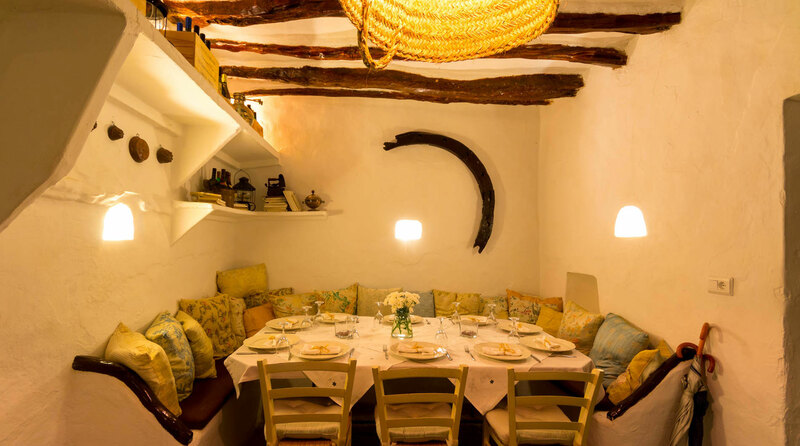 La Luna Nell’Orto is not only lovely and beautiful on the outside, the inside of the restaurant keeps the traditional rustic style and charm of the ‘casa payesa’ it is housed in, making it an authentic traditional experience to dine under the cover of juniper beams and whitewashed walls where a delicate rustic decor with colourful touches make it a fabulous dining room for cooler nights. 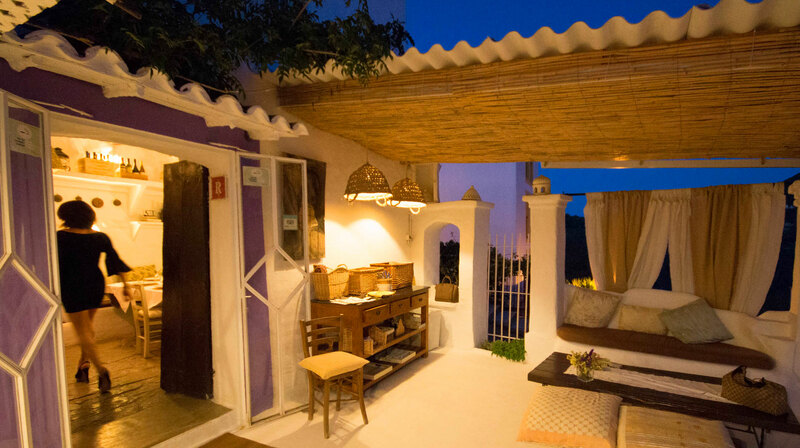 Under the spell and charm of the rural Ibiza, where sometimes it seems like time has stopped.